The soundboard design and the bracing pattern are fundamentally important for the sound and durability of a guitar. Because of that, our research and production teams pay ongoing attention to these elements of the guitar’s construction with the aim of bringing continual improvements. During more than 30 years of research and development, we have engineered a perfect blend of volume, dynamics, tonal balance, and rigidity, which is achieved by meticulous selection of tonewoods and application of an innovative soundboard voicing process to all our instruments. 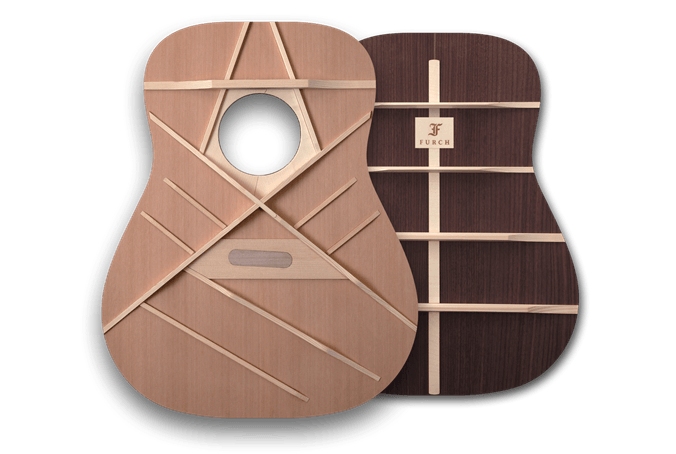 The result is an unmatched sound quality across the entire range of Furch guitars.